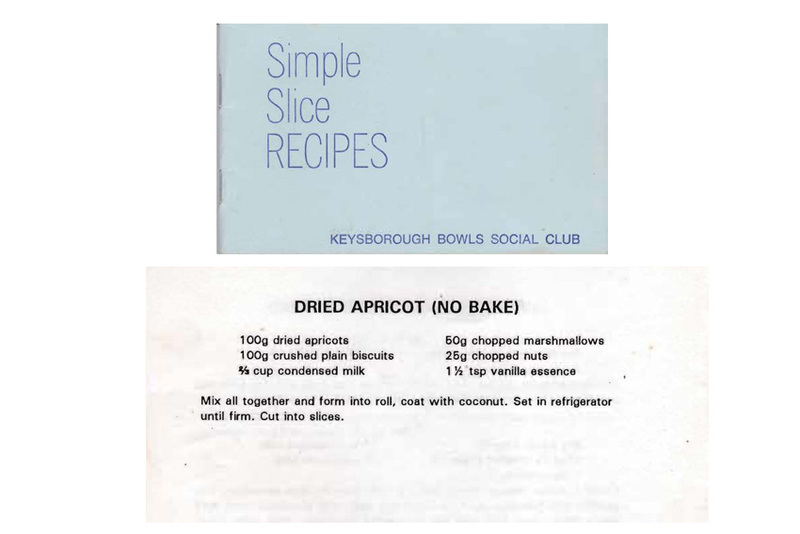 Copha seems to have gone out of favour in recent years, but around the 1970s it was used a lot for no-bake slices and especially for sweets. 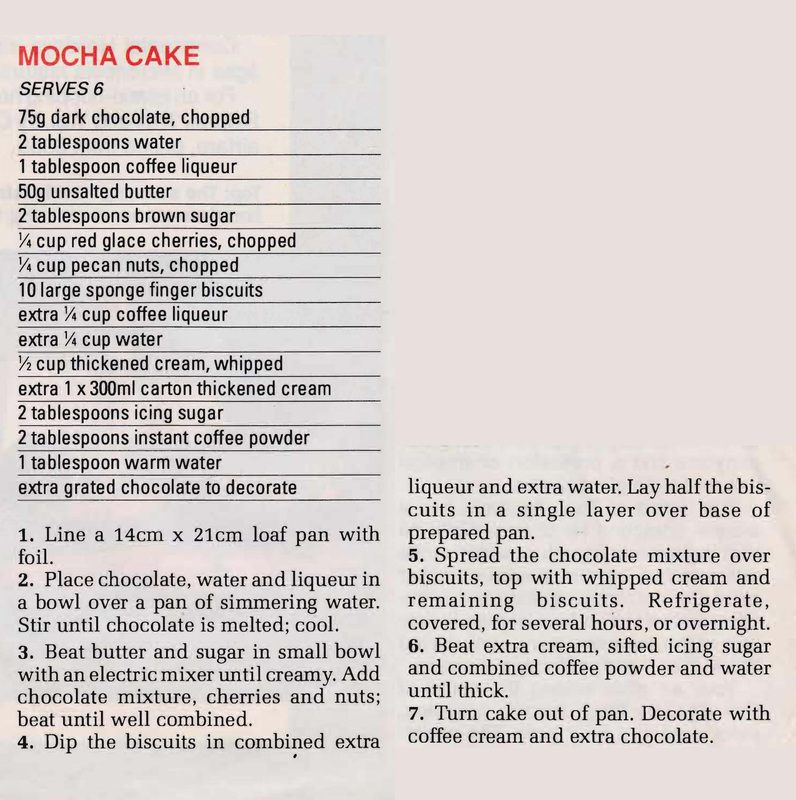 This recipe was published by The Australian Women’s Weekly in 1994, it’s a little more modern with White Melts and Mallow Bakes, but it’s still quick and easy to make. Great for adults and children alike. 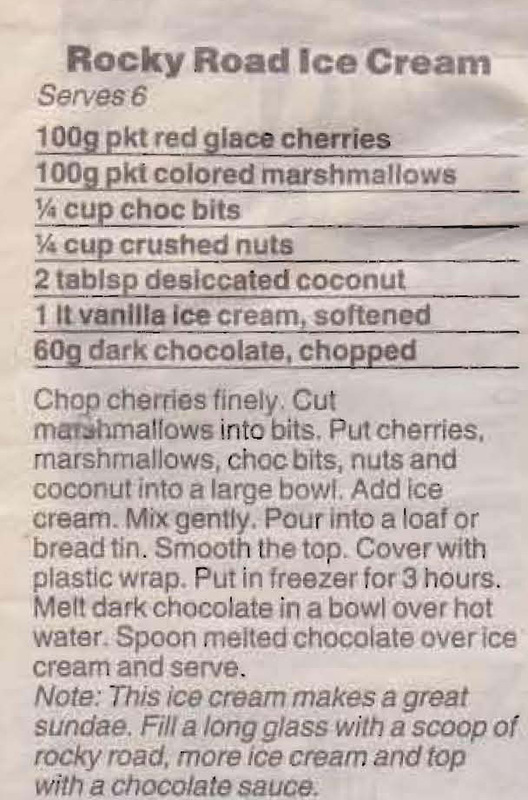 Dad was a great ice cream lover, so Mum always had some in the freezer. 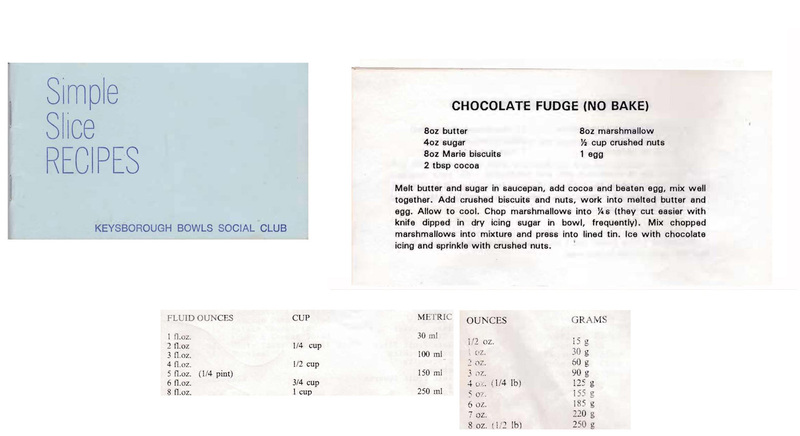 In the early days it was all homemade, but along with everyone else Mum changed to bought ice cream when it became readily available and her fridge freezer grew larger. 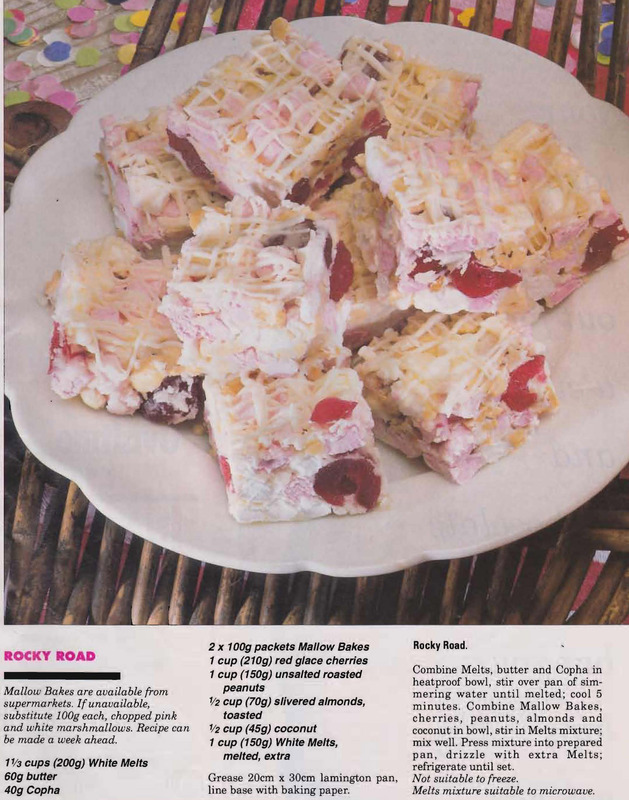 While Dad liked his plain, Mum made this Rocky Road version and another one with Cherry Ripe bars in it. I think she mainly made it for the grandkids, but the big kids ate it too.